Two going on twenty. : Soupa! What did we do with the fresh veggies that we picked today? 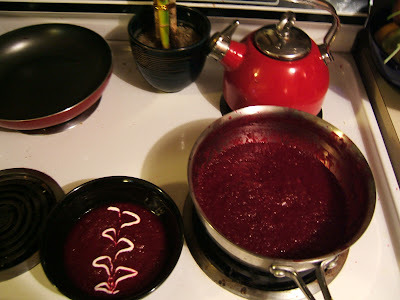 I made Apple Beet Soup! It is SOOOO good! I am enjoying it as I write this blog. It has a very sweet, earthy flavor and it was super easy to make! 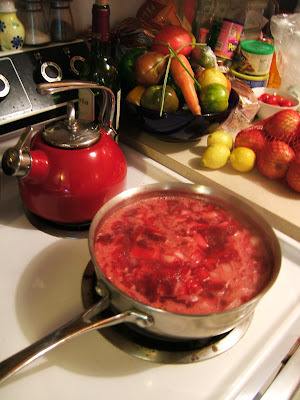 Put everything in a pot and simmer for about 25 minutes. 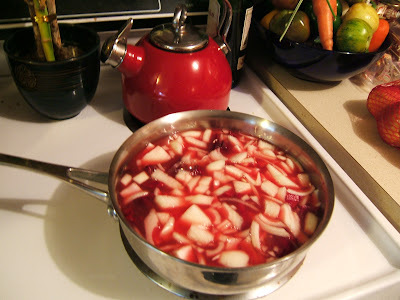 After it is blended pour into bowl and add sour cream. It would be perfect to serve at a Halloween dinner due to it's pretty red color! It was THAT easy, and the whole family loves it! This sounds yummy, & low points on WW. I'll have to try it.